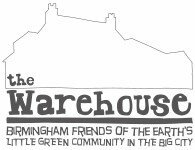 Birmingham shop selling 100% vegan wholefoods plus household goods, cruelty-free cosmetics etc. Many organic & fairtrade products. Supplied by workers co-op.